Sushi cravings can be cured if you know where to go. Oishi Sushi and Grill, 6929 E. 10th Street, offers freshly-made Japanese cuisine in an atmosphere infused with soft music, quiet servers and polished wood. The wine list boasts seven types of sake, hot and cold; the beer list includes domestic and imports. From the tea list I chose bubble tea, a frothy chilled concoction blending tea, milk and tapioca. With so many choices on the extensive appetizer menu, including yaki ika, a barbecue squid with teriyaki sauce, the decision was difficult. The shrimp tempura decided on, however, was medium in size and delicate in flavor. Offered on the menu is more than sushi. For the faint of heart, udon and soba may be the best choice. 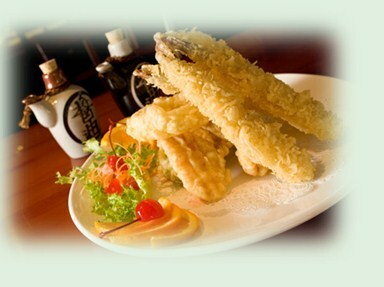 The Japanese noodles may be served chilled, with sautéed shrimp, thinly sliced beef or seafood. Served in eight slices, the California roll, Daddy Dragon, is topped with grilled eel. Aesthetically pleasing, this dish was also surprisingly filling. Tofu dishes are available for the vegans among us. Teriyaki is offered for those wanting food with a more familiar name. Tatami rooms are available by chance or reservation. Each private unit seats four to five comfortably.On my get-the-next-time list: Uni sea urchin, green tea Mo Chi ice cream and cold sake. Bottom Line: Oishi Sushi is a perfect example of why you shouldn't judge a book by its cover. With its rough exterior, you will have to trust me and enter to find the pearl of the east side. And...trust me, it is worth the time and effort to find. Elizabeth J. Musgrave is a syndicated columnist, travel writer, performing arts and restaurant critic. Catch her as Indy’s Arts & Entertainment Adviser on 93 WIBC, and follow her on Twitter @ejmusgrave1 and Facebook. Gotta Go is published in the following newspapers: South Sider Voice, Indiana Weekender, New Palestine Reporter, Pendleton Times Reporter and Fortville-McCordsville Reporter.